There's nothing like pampering oneself at a luxury hotel. Every whims and fancy would have been thought of and catered to so that one could go into vegetation and relax comfortably. The St. Regis provides all that customized service and attention with panache, as evidenced by accolades heaped on by many renowned publications around the world. 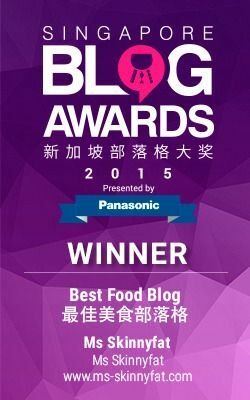 The same standards apply to the restaurants as well and i was fortunate to experience what fine Cantonese dining means at the award winning Yan Ting. 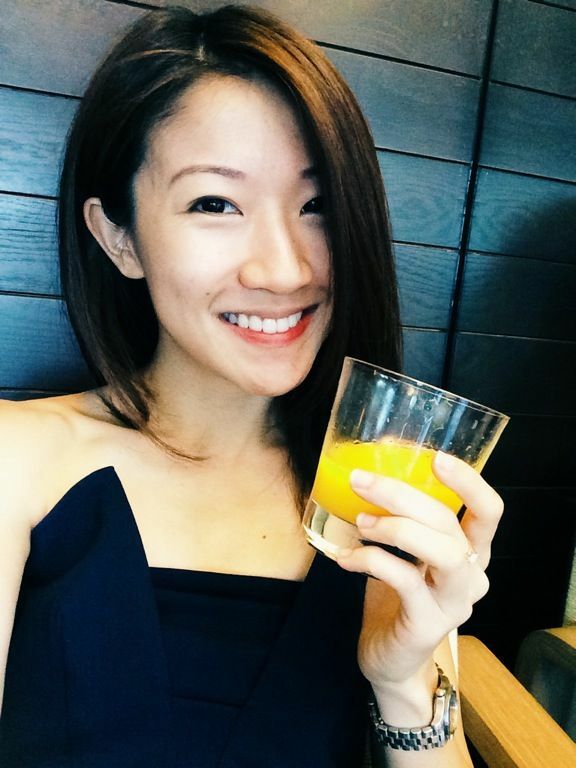 This Chinese New Year, if you prefer a less raucous reunion celebration and one with more bespoke fineness, Yan Ting would purrrfect. The contemporary interior provides an intimate space for dining, though the intimacy is more so between the individual diner and their food. That said, you could book one of the 3 private rooms and be your boisterous self. 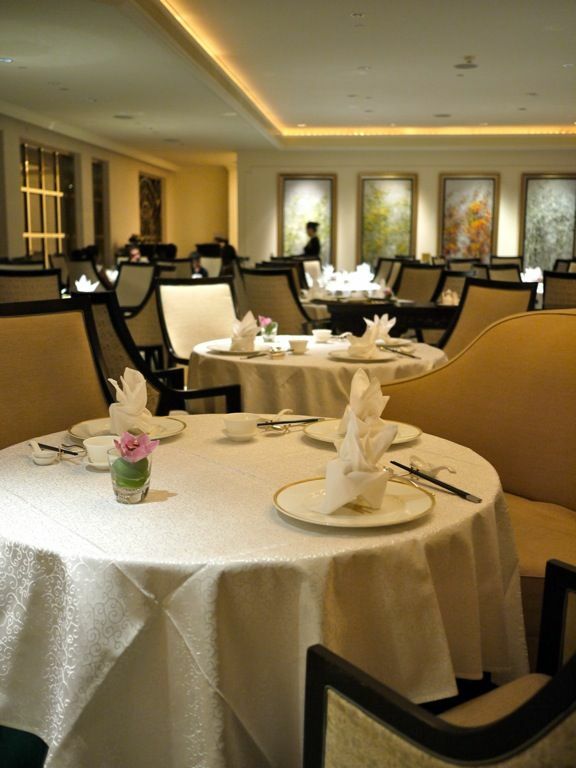 The private rooms accommodate 8-20 pax with a minimum spending, which would be met if you order the set menu. We had a special 7 course set designed to give us a preview of the 10 CNY set menus that Yan Ting has this Snake year. Think of this as a best of dishes list. Now, feast on the freshest, premium and decadent ingredients. 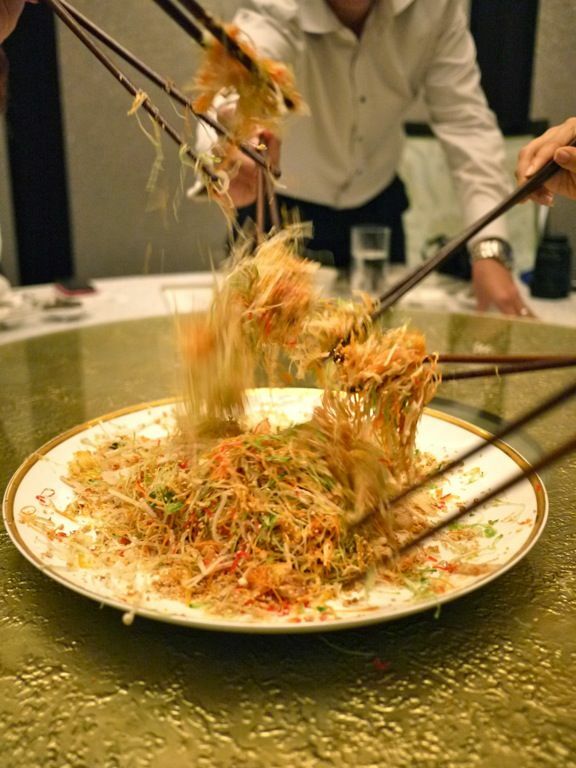 Yu Sheng is a must have dish for CNY. Every component has its own significance and mostly related to wealth and luck. Yan Ting has switched the radish for snow pear to give the dish its subtle sweetness. 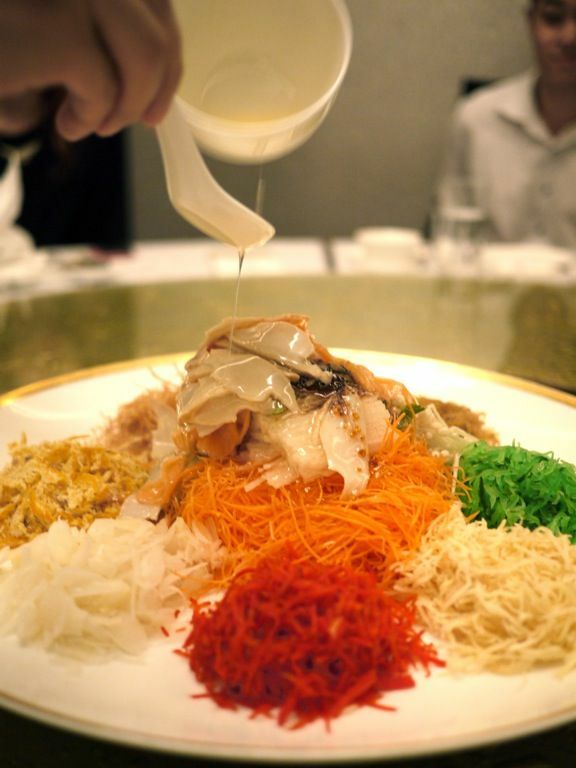 I like that the sauce is lot less sweet than the usual Yu Sheng because pomelo juice is added. 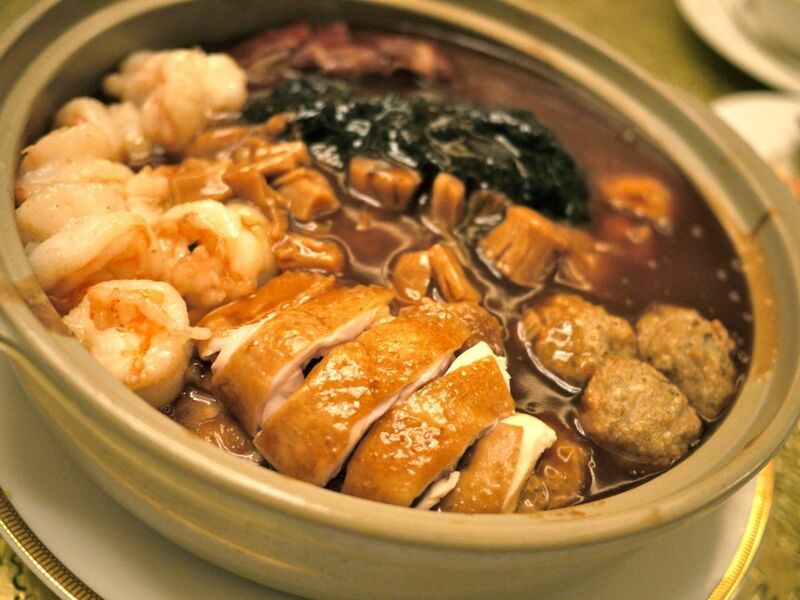 Abalone and Salmon are also included in this dish. 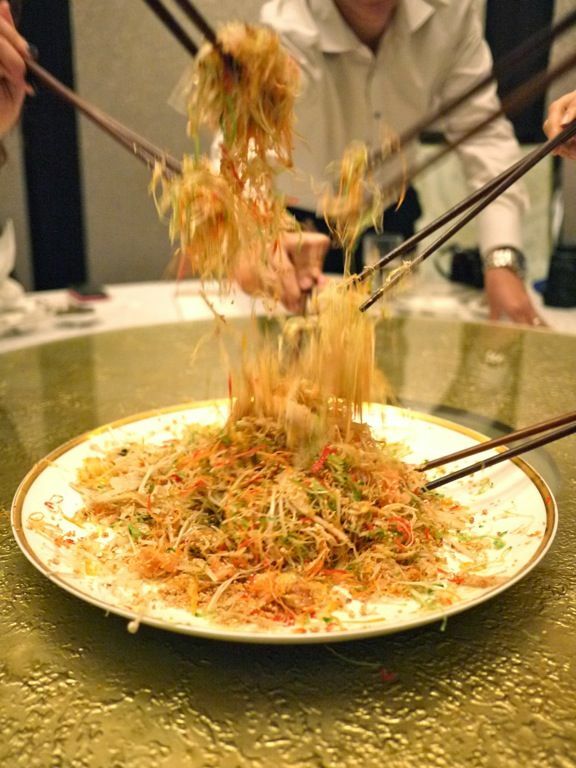 Here comes the fun part of tossing the dish around with our long chopsticks. Whee! The higher you 'pull' the dish, the more good luck you get in the year. Great excuse to play with food! Pun Choy is a classic CNY dish. This casserole pot dish came about when villagers offered the best ingredient they have in their home for sharing during the festive season in the old days. All the contributed ingredients would then be placed, layer upon layer, with the blandest ingredient (typically the vegetables) at the bottom and the meat on top. The end result would be a rich and flavorful stew that is delicious and satisfying. 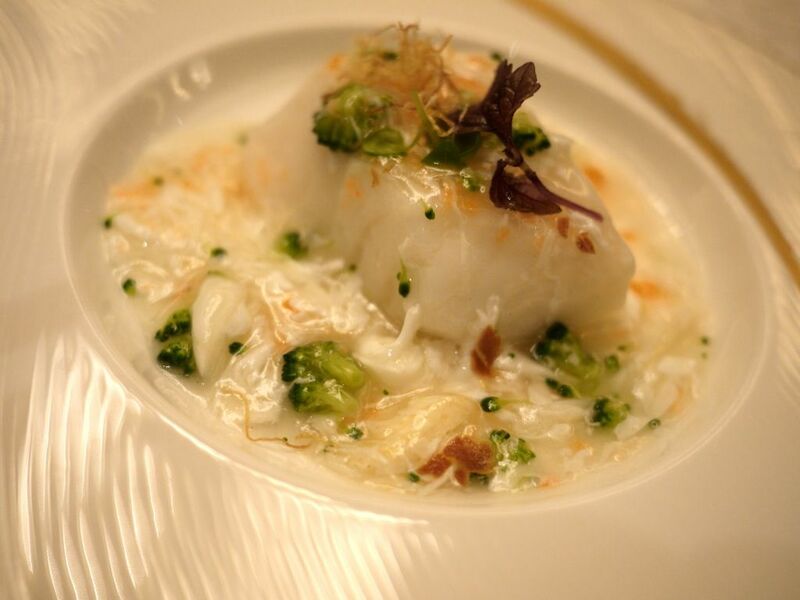 The Steamed Sea Perch Fillet with Special Coral Sauce is minimally flavored to allow diners a clear taste of this premium ingredient. It's so premium that only top Chinese restaurants serve this fish. This deep sea fish is more expensive than cod fish and richer in omega 3 content. Definitely not something that you can get at the supermarket. The taste and texture of the sea perch is very delicate and doesn't taste as oily and heavy as cod. This is great for health conscious folks. 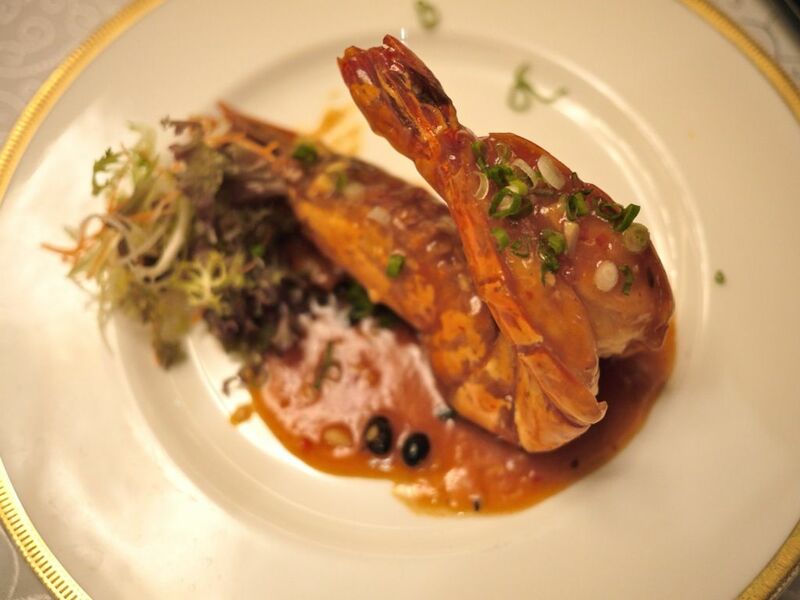 The King Prawn with Plum Sauce is a masterpiece of art, so much that i didn't know what to do with it after it was served. The size is that of a mini lobster but Chef has managed to cook the meat to the right amount of crunchiness while maintaining the freshness of the crustacean. I thought there was a little too much sauce on this one and it kind of overwhelms the taste of the meat. 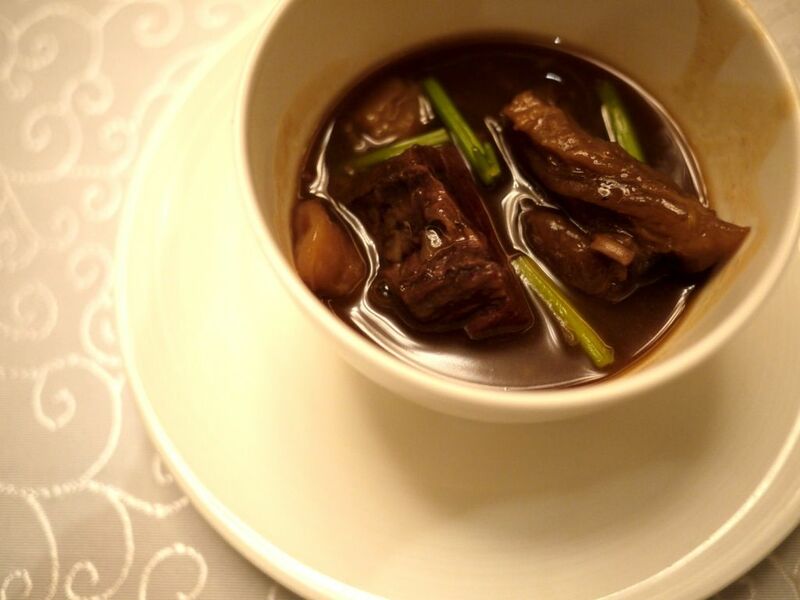 As compared to the rest of the dishes, the Beef Brisket Stew pales in comparison. I would expect the meat to be fork-tender but it was a little tougher than that. The sauce however was perfectly crafted and i enjoyed the radish that has been infused with the essence of the sauce. Till that point in the dinner, I had been sampling all the dishes in an effort not to overeat. But when the Wok Fried Glutinous rice with Wind Dried Sausages was served, i finished every single grain. The dish is very simple but it tastes like home, very heart (and tummy) warming. I guess i tasted the effort Chef put into bringing in the special wind dried Chinese sausages from Hong Kong. 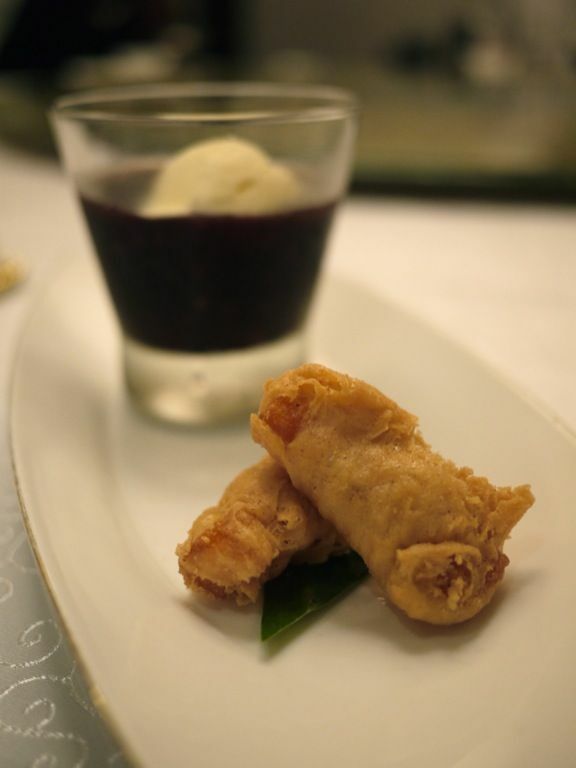 Our sweet ending was the Chilled Black Glutinous Rice served with Ice Cream with Crispy Glutinous Rice Cake. It sounds like a heavy dish but it isn't. The fried nian gao is the orange colored sort and is less sweet than the brown one. We suspect that the smooth vanilla ice cream is from the Italian restaurant and it went really nicely with the black dessert. The Set Lunch and Dinner Menus are priced $98 to $328++ per pax, with a minimum of 2 guests. There is also an 8 course Vegetarian set menu at $108++ per pax. 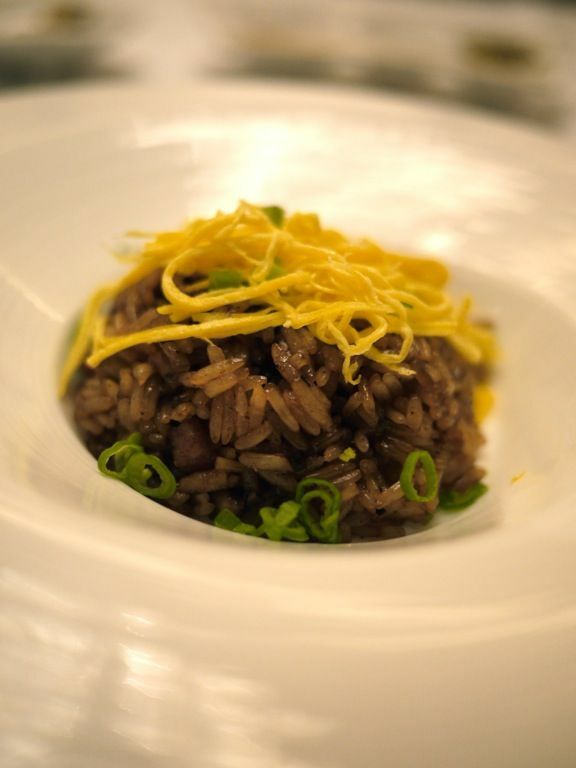 Other than set menus, there is also a special á la carte menu and some dishes are also available for takeaway from now till 24th Feb 2013. Takeaways include Yan Ting’s Signature Roasted Suckling Pig, Roasted Duck, Roasted Chicken with Garlic Sauce, and Braised Prosperity Pork Knuckle. Prosperity cakes and new year snacks and hampers also available. A special cocktail, Red Slangur, has also been created by The St. Regis Singapore mixologists to usher in the Snake year. 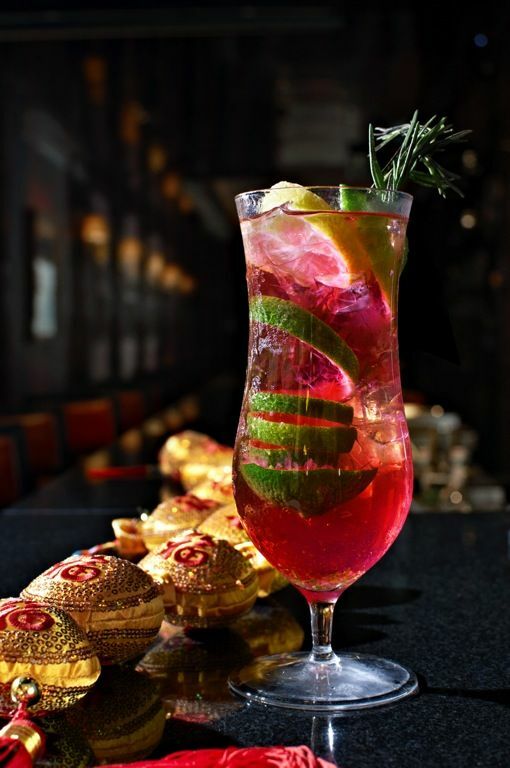 Doesn't the lime peel twist resembling a water snake swimming in the red hues of the festive drink? This cocktail contains Bombay Sapphire, Lustau Manzanilla, Schweppes and Monin Grenadine, and is spicy, citrusy and refreshing all at once. Here's wishing everyone an early Prosperous Chinese New Year! This year i'm gonna take a break from the CNY visiting and heading Down Under. Hope you guys have fun!